Someone just couldn’t resist this delicious looking gingerbread man! A funny and colourful Christmas card fantastic for any age. The design features a cute gingerbread couple; the gingerbread man has a large bite shape on the side of his head. The text ‘Have a tasty Christmas’ is printed against a vivid red background. The card is available in A5 size and also A6 size and is blank inside for your own special message. This card is also available as part of a four pack of A6 size (unpersonalised) Christmas cards. 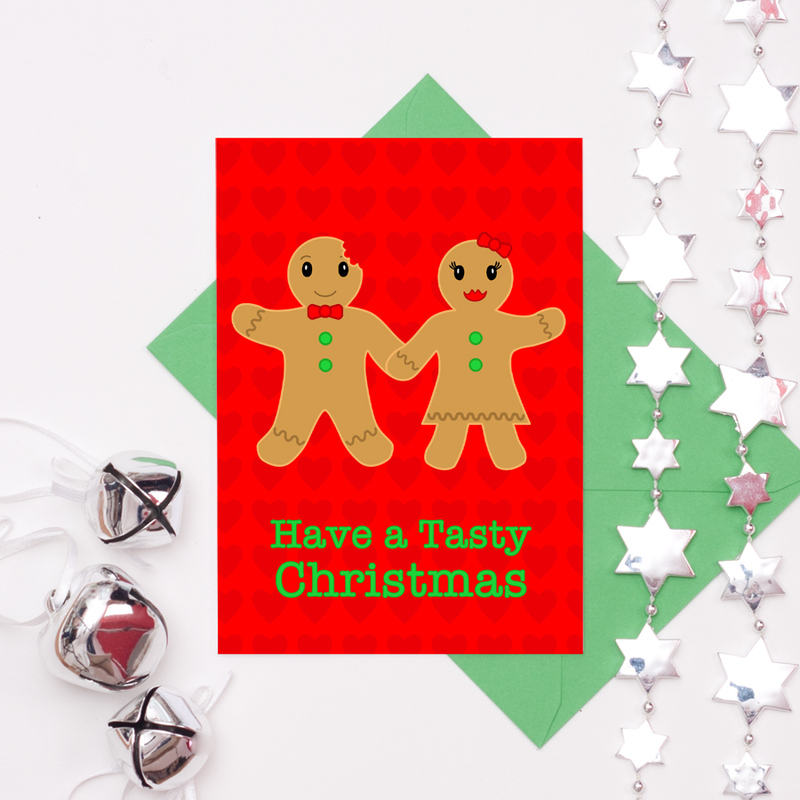 Be the first to review “Tasty Christmas – Gingerbread Couple Christmas Card” Click here to cancel reply.